Forensic Engineering and Non-Destructive Testing was the topic over lunch. Kurt Heinrichs, Buford, is in his element when talking about these specific services lines. 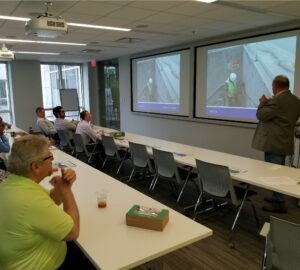 We enjoyed the visit, CBRE and Heery!